Observation notes: Oarisima garita garita, pupa. Raised from female collected on Bromus inermus in sighting referenced below. 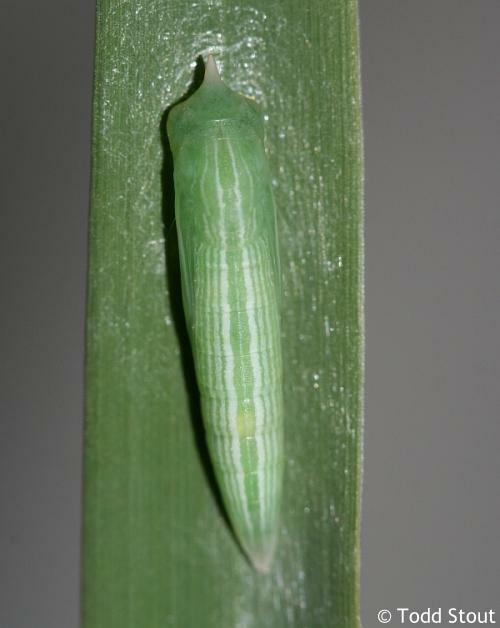 Oarisima garita garita, 5th instar caterpillar. Raised from female collected on Bromus inermus in sighting referenced below. 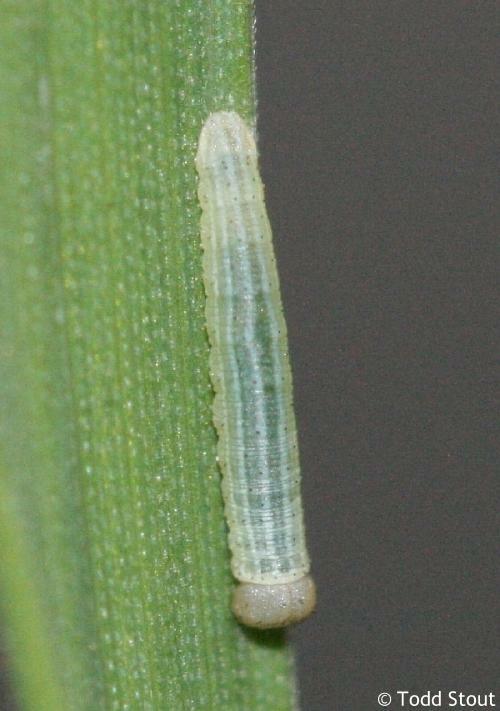 Oarisima garita garita, 3rd instar caterpillar. Raised from female collected on Bromus inermus in sighting referenced below. 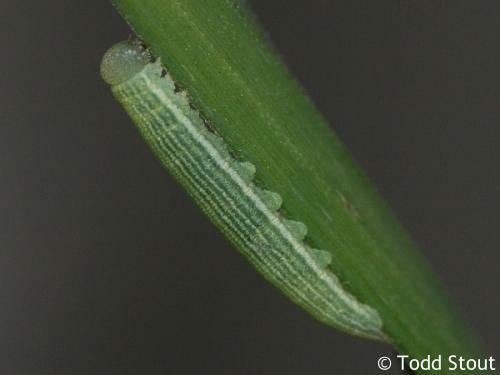 Oarisima garita garita, 2nd instar caterpillar. 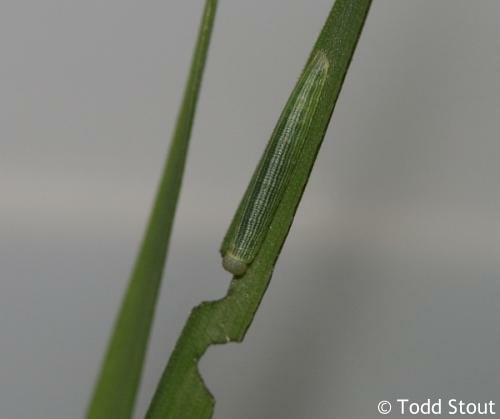 Raised from female collected on Bromus inermus in sighting referenced below. 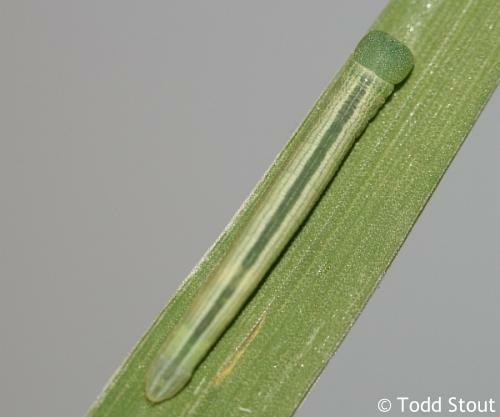 Larvae raised from female collected on Bromus inermus in this sighting record. 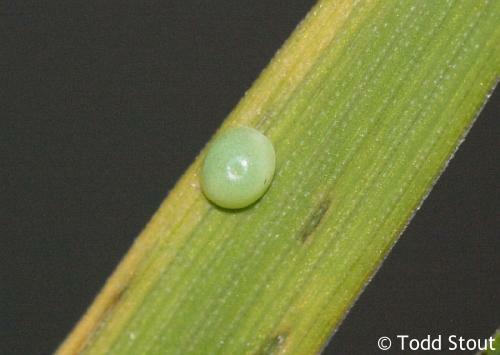 Coordinator notes: Egg and 1st instar caterpillar.